One tour to rule them all, one path to find them, one place to see them all and in the fandom bind them. Calling all Tolkien tourers, Hobbit buffs & Lord of the Rings lovers: this blog’s for you! Book yourself a tour to Hobbiton for the real deal, the place where many of the scenes from Peter Jackson’s legendary movies were filmed. 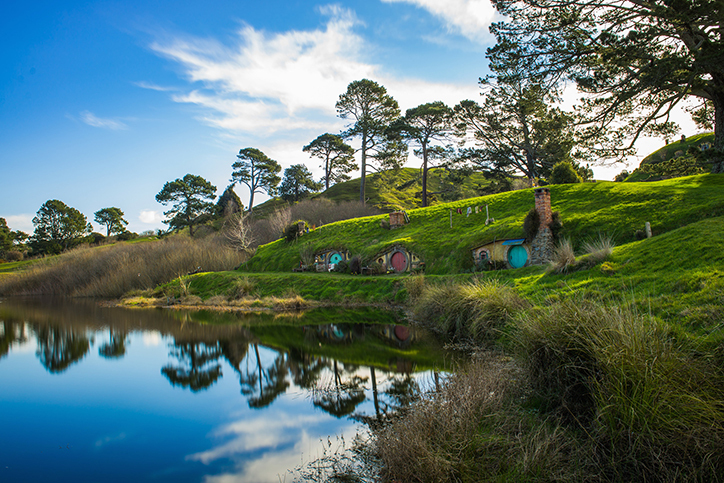 With tour options departing from Auckland, Tauranga and Rotorua, there’s no reason to skip Middle Earth on your New Zealand holiday. Here’s everything you need to know when planning your very own magical journey to Hobbiton. Have you always wanted to enjoy a banquet at the Green Dragon? Do you find yourself wondering what it would be like to drink a Baggins-beer while admiring the view from Bag End? Wonder no more! Hobbiton has you covered. Located in the Waikato region in the North Island, the farm location was chosen after Peter Jackson embarked on an aerial search of New Zealand for the perfect movie set. The criteria? Rolling hills, lush green grass and dense hedgerows, just as described in the Hobbit and Lord of the Rings books. From your first glance over the amazing landscape of the “Shire” and its beautifully crafted Hobbit-holes, you’ll be transported straight into Tolkien’s world! The Green Dragon Inn: the famous inn comes to life with craft brews and Hobbit themed snacks. The Shire’s Rest: feast on traditional Hobbit-fare at Bilbo’s table in an amazingly decorated dining room that’s true to the movies. Not exactly sure how you’re going to get there? We’ve got options aplenty to ensure you can slot a visit to Hobbiton into your holiday schedule, wherever your North Island base may be. The 6 day Middle Earth Discovery tour is the definitive North Island Tolkien-tour, where you’ll experience the Waitomo glow worm caves, geothermal capital Rotorua, the full Hobbiton experience, and cap it all off with a day tour of Wellington including Weta studios, plus all of the various filming locations – epic! The 12 day Middle Earth Discovery tour is the ultimate, a true once in a lifetime experience for any Hobbit fan. This tour passes through both North and South islands and hits ALL the highlights, taking you from Auckland all the way down to Queenstown where you’ll visit the crown jewels of the South Island, the Remarkables mountain range. Including wilderness safaris, movie set tours and visits to the most iconic landscapes in New Zealand, this is a tour that’s a movie buff’s dream and so much more. 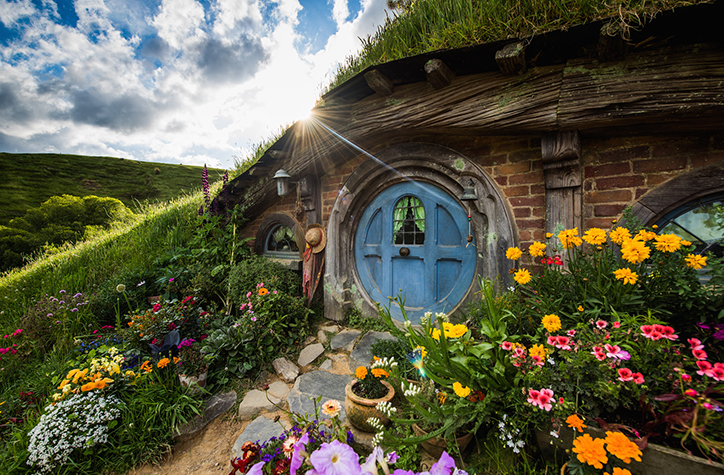 Book a tour today and see why no trip to New Zealand is complete without a visit to Hobbiton!